THE GUYS : CHECK HER OUT! SHE'S HOT, NICE BOOTY RIGHT? 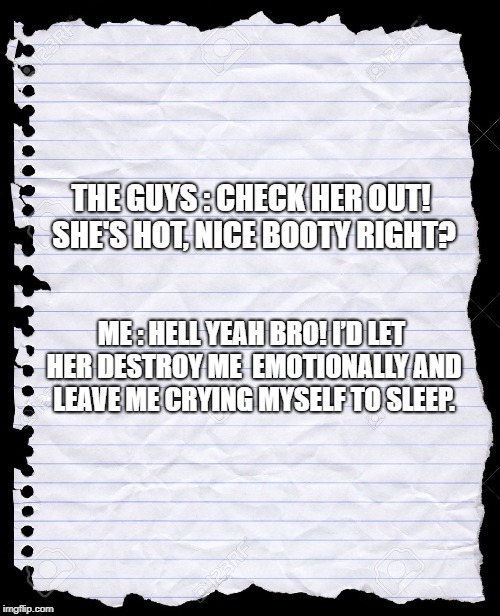 ME : HELL YEAH BRO! I’D LET HER DESTROY ME EMOTIONALLY AND LEAVE ME CRYING MYSELF TO SLEEP.